Epsom salt is used in floatation tanks and is the key to creating such a buoyant environment. Epsom salt is Magnesium Sulfate (MgSO4) and bathing in such a solution will provide anyone an enormous list of benefits for both the body and the mind! Every cell in the human body requires magnesium to function. Many health problems associated by not having enough magnesium in the body include: bone/joint pain, depression/anxiety, hair loss, heart attacks/diabetes, chronic fatigue syndrome, insomnia, and virtually all chronic and autoimmune disorders. 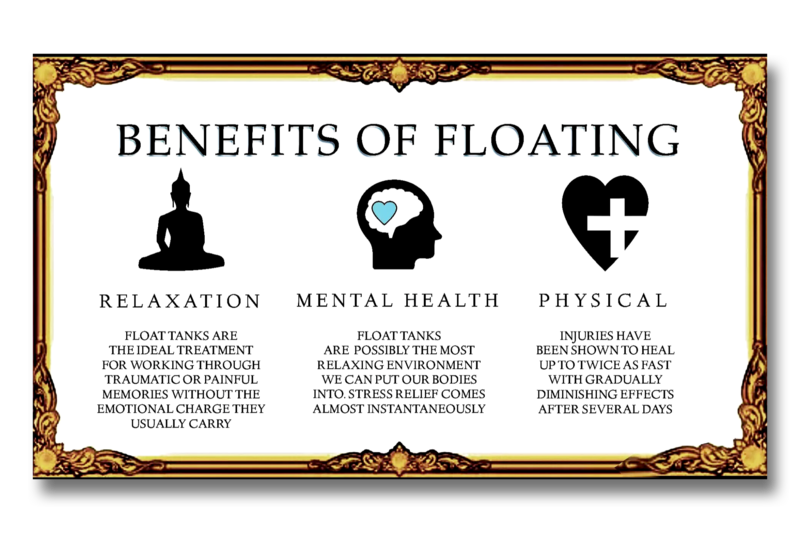 Book A Float Tank Therapy Session!